What is the Game Creators Space? The theme for this jam is "Secret Base". A single entry per team - choose one person to submit the game. We encourage every member to have an itch.io account, so they can vote, and add to the community board! GCS Jam 02 is open to all students and alumni of Albertan schools. 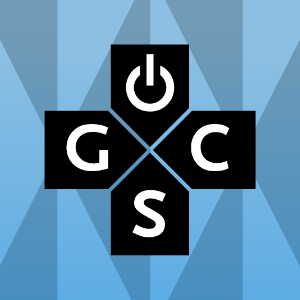 Guests are allowed to participate so long as they have not been placed in bad standing with any of the Alberta Game Dev Student Special Interest Group - which includes GCS, GADEC, VGAD, GDC(UofC) and LDGA. For more information, or if you have any questions, message us! All entries will be submitted in build (compiled) and source code (non-complied) form, where applicable. Paid assets ARE allowed, BUT please remove the paid asset from the source code file IF you do not have the rights to distribute! Choose to work solo, or in a group. All members should create an itch.io account. Make a "I'm in" post in the community section of the jam (Use the tags) and have your team members comment there too! Join our Discord, we'll make a group just for you and your team! That's all you need to do to join the jam! It won't take too long, and it'll give you the opportunity to become part of our amazing community!